Artisan Rancho Mirage is located near Los Reyes and Tamarisk in Rancho Mirage, California, the Artisan residential community boasts custom and semi-custom floor plans at great prices. 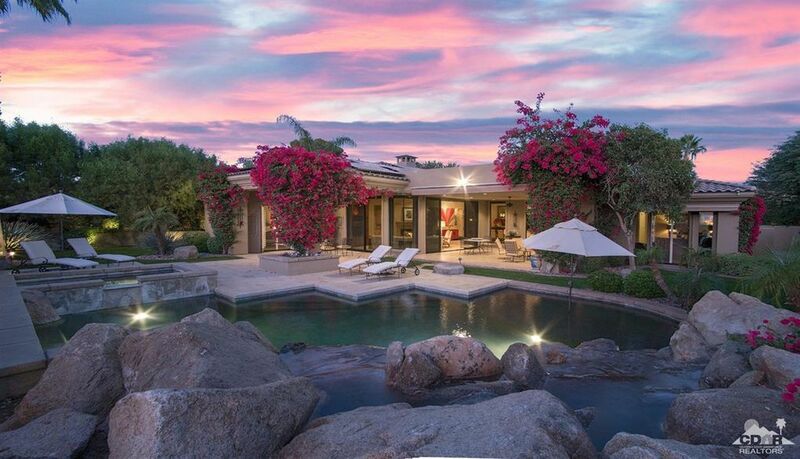 The Artisan Rancho Mirage homes were newly built primarily between 2002 and 2004. Half-acre to three-quarter-acre lots provide you with plenty of breathing room to soak in some of the more scenic views of the area. Artisan Rancho Mirage offers homes with models named after reputable artists like Van Gogh. This community was constructed by the Ministrelli Development, a fact that places instant trust in the integrity of these homes for anyone who has ever set foot in one. The customizable high end details and effort that go into Artisan homes are truly spectacular. The price you pay for a home in a prestigious community such as this promises to deliver what you expect and more. The spectacular homes in the lovely community of Artisan range from $1.3 million to $2.1 million. Models come in a variety of elevations with three to five bedroom options with square footage set between approximately 3,200 and 6,100. Consider the prime location, views and benefits of living in an area such as this. Because the cost is so affordable for anyone looking for a small piece of paradise to call their own, these properties can go fast. Compared to the rest of California, the cost of living in Rancho Mirage is extremely reasonable. If this is truly something you want, you cannot hesitate to get on board or you may miss your chance. The views from Artisan homes include some of the valleys most prestigious golf courses, country clubs and desert mountain views. Rancho Mirage is located in Coachella Valley which is located two hours from Los Angeles and the Mexican border. The valley has 285,000 permanent residents with 100,000 seasonal residents. To become a member of either group, do not hesitate to set up a tour of a property today. Developers are extending projects in this area and expect the population to exceed 800,000 by the year 2030. While the development will be designed to prevent the feeling of over population, now is still the time to buy, while the population is less. Every person wants their own personal slice of paradise. Your chance is here. The gorgeous views, enjoyable desert lifestyle and exquisite details in each Artisan home provide every resident with a blissful place in paradise they can call their own. If you would like to see property at Artisan Rancho Mirage, please call us at the numbers below. Were committed to helping you find the home of your dreams. With many years of experience in the Rancho Mirage Real Estate market, Elaine truly enjoys helping people in the process of buying or selling a home.